Intuitively, this makes sense as all living things react to the weather in some way. 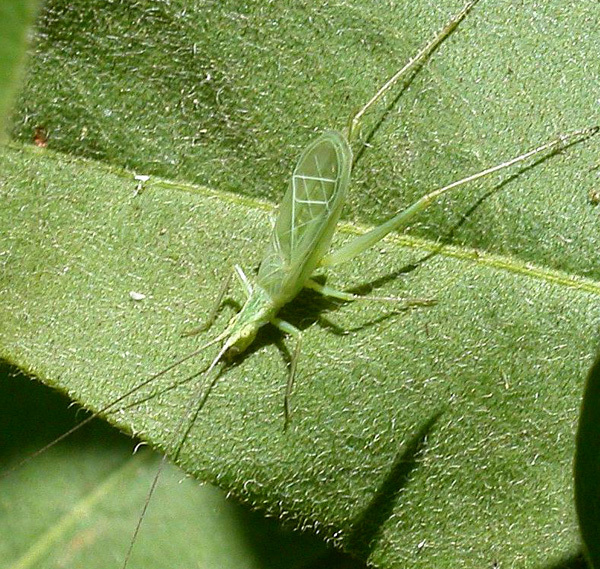 Crickets are cold-blooded insects and the ambient temperature directly affects their metabolic rate. As the temperature goes up, their energy level increases and they can produce more chirps. As the temperature drops, the rate of chirping declines. I have seen a few versions of the cricket-thermometer equation. Most differ according to the species of cricket. Others vary in time duration. The first person to study the correlation between air temperature and cricket chirps was Amos Dolbear, a physics professor at Tufts University in the late 1800’s. His equation measures the number of snowy-tree cricket chirps heard in one minute. It states: T= 50 + [(N-40)/4] …where T= temperature and N= number of chirps per minute. This is now known as Dolbear’s Law. A simplified version, more akin to the Snapple fact, is: T= N14 + 40 … where T= temperature and N14= number of chirps heard in 14 seconds. These equations are for temperature readings in degrees Fahrenheit. This entry was posted in weather and tagged pop, temperature, wildlife by Melissa Fleming. Bookmark the permalink.